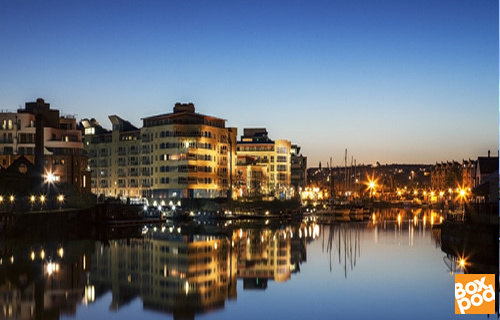 Don’t delay of you want to find office space to rent in Bristol. It’s in huge demand and supply is in very short supply. Findings from Colliers Bristol Offices Summary Q4, 2017 show that the west country city enjoyed another excellent year in the office market. Supply and demand, again, caused headaches but the £30 per sq ft barrier was reached in Q3. Prime rent finished the year at £32.50 per sq ft in Q4. Good news for landlords and owners, not so good for those businesses in need of office space in Bristol. It’s becoming increasingly difficult to find office space to rent or buy in Bristol. City centre all-grade office availability was at an all-time low and Grade A office space is at an historic low with 99 per cent of space occupied. Colliers researchers expect further rental growth in 2018 in Bristol City Centre. Out-of-town availability is better thanks to recent refurbishments. Overall vacancy levels there are at 7.8 per cent. Office space to rent on the market is tending to be on the smaller units. Over the past year, office take up in Bristol surpassed the 1million sq ft mark for the third time in four years. Among the largest deals (which were in the minority as only six deals were above the 20,000 sq ft mark) were Dyson and University of Bristol taking space at Castleforge’s 1 Cathedral Square and Simmons & Simmons pre-let at Cubex’s Aurora. Out-of-town take up was boosted by Babcock signing up to 86,000 sq ft at 100 Bristol Business Park. So it’s tricky to find office space in Bristol. Check availability regularly. There is a range of ever-changing availability on serviced offices and executive suites, office space in modern business centres and refurbished traditional buildings. A centre with 26 small office units from 100-350sq ft in Easton, BS5 with rents from approx £35 pw. Also in BS5, there is a modern purpose-built business centre offering office space and workshops with prices starting at approx £21 pw. Easy in /out rent terms. Advertise your commercial property to rent or sell on Boxpod.